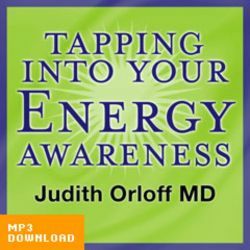 Join Dr. Judith Orloff and Caroline Myss, two renowned intuitive practitioners and teachers, for a special presentation on how to tap into your intuition for health, healing, and life guidance. 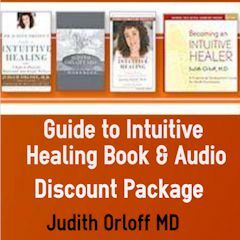 We all have intuitive gifts. The magic comes in learning to trust the natural guidance that comes from these gifts. 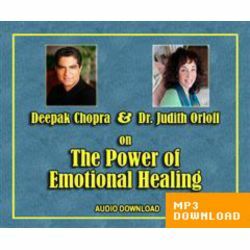 In this CD you will learn to tap into the wisdom of your bodies, sense subtle energies, listen to your dream, and make decisions based on your deepest sense of inner authority and power. 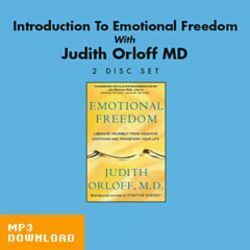 As part of this workshop, Dr. Orloff will share her journey of being alone as an intuitive child alone with sensitivities she didn’t understand to becoming a respected psychiatrist who uses intuition as an indispensable tool in her medical practice and life. 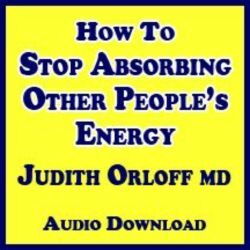 In addition, she will highlight how intuition can help you combat people who are draining your energy, teach you how to prevent energetic overload and show you ways to avoid taking on other people’s negativity and pain. 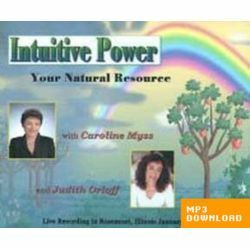 Caroline discusses the mystical nature of intuition and other instructions on how to develop your intuitive skills. Her presentation will highlight on how you can develop your Sacred Contracts, and archetypes.